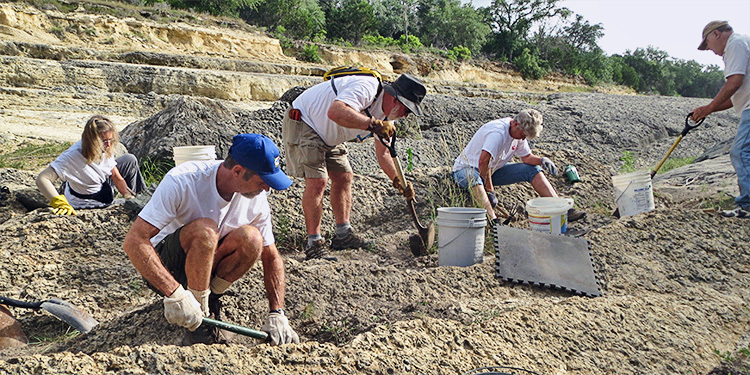 Interested in becoming a Lindheimer Texas Master Naturalist? Oct. 15 is deadline for enrollment in a year-long course that includes 12 monthly classes, several field trips, a class project and opportunities to volunteer in many locations and areas of interest. These include birding, geology, wildflowers, aquatic life, butterflies, invasive species management, bats, education — and paleontology, new name a few. The public is always invited to chapter meetings to ask questions and enjoy interesting presentations. For more information, email LindheimerMN.Education@gmail.com. To apply, click here. Offices are located in AgriLife Extension Service, Comal County, 325 Resource Dr., New Braunfels. Education chairs are Darlene Varga and Val Lefebvre. To see a list of upcoming events, click here to link to the chapter’s main calendar.